The ease of a pop-up frame combined with premium dye sub graphics that velcro onto the frame. Five minute or less setup and break down wins the race. Easy up and down. 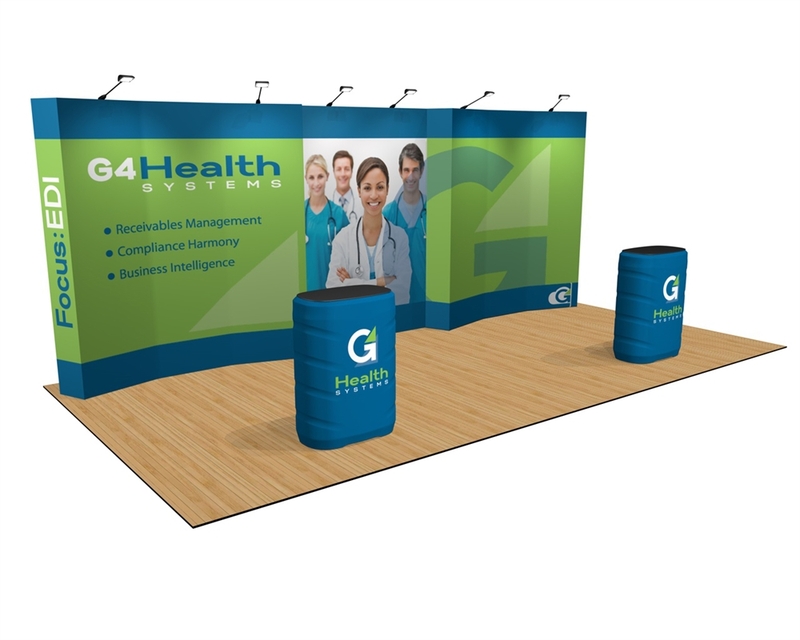 Five OneFabric displays come together to form the back wall which creates flexibility for future use in smaller booth spaces. Price includes over head lighting and two hard cases that convert to graphic printed counters. 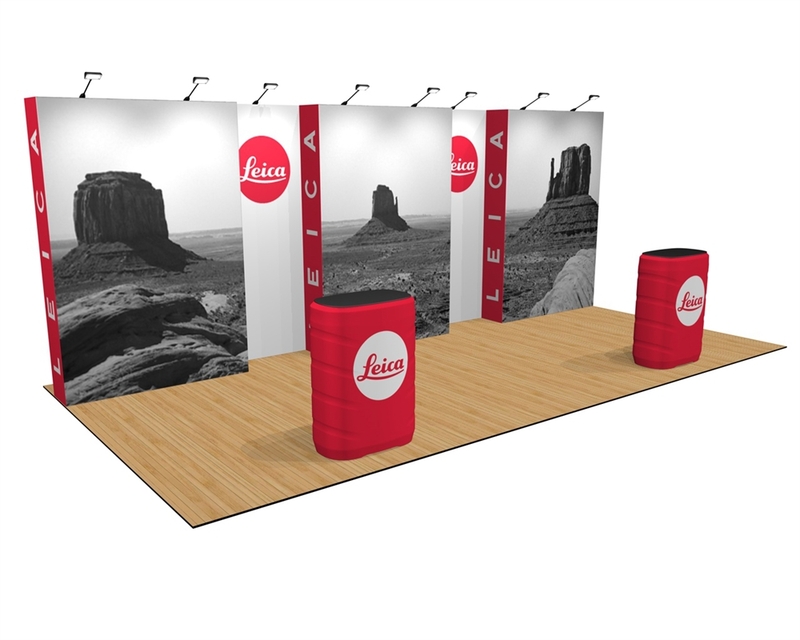 Three OneFabric displays come together to form the back wall (one wider center display) including a 10ft display for future compatibility with smaller booth sizes. Price includes over head lighting, and two hard cases that convert to graphic printed counters. 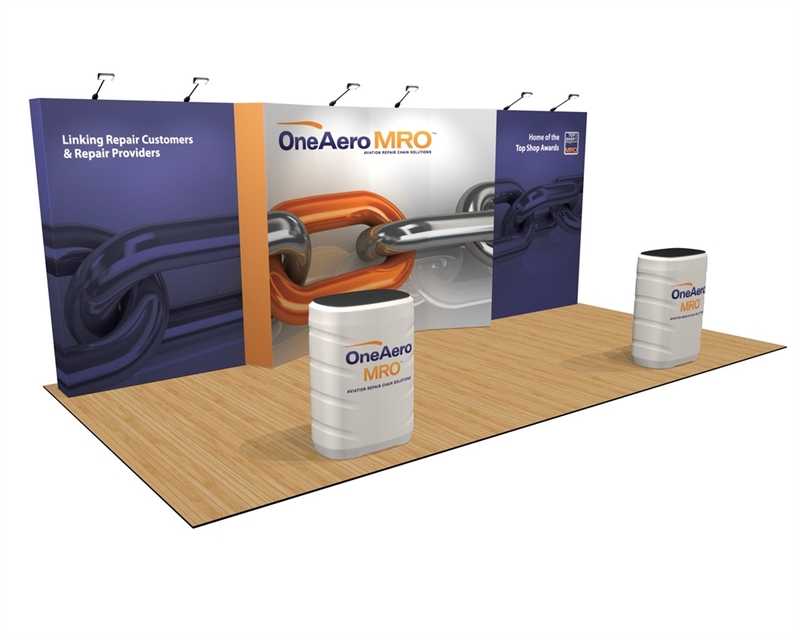 Three OneFabric displays come together to form the back wall including a 10ft display for future compatibility with smaller booth sizes. Price includes over head lighting, and two hard cases that convert to graphic printed counters. 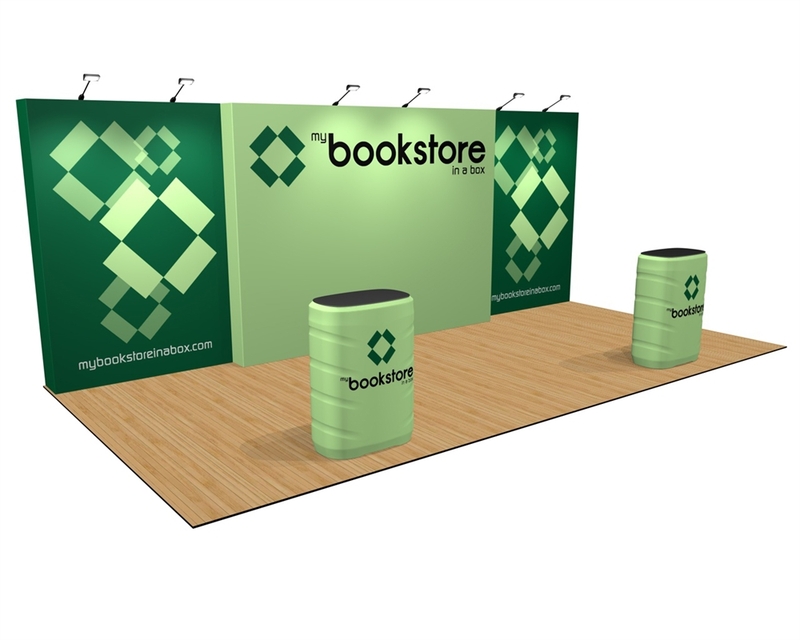 Three OneFabric displays come together to form the back wall creating flexibility for future use with smaller booth sizes. Price includes over head lighting, and two hard cases that convert to graphic printed counters. 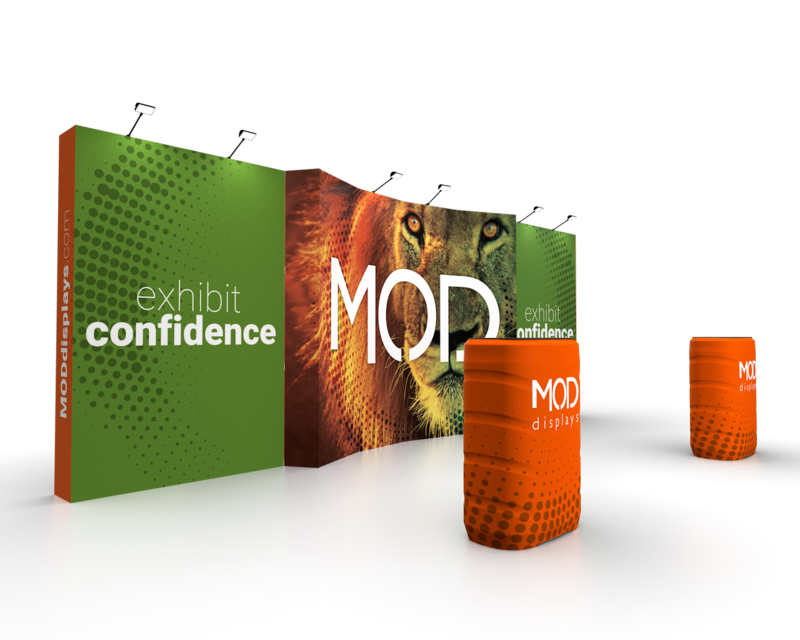 When setup speed is critical, the lightweight OneFabric display frames and graphics accordion opens for a simple 10-15 minute setup for these 10' x 20' configurations. The frame hooks together, and the high-quality printed fabric folds around the sides for a custom-branded edge. Graphic stays connected to the frame while stored. Kits include lighting and either custom table throws or custom-printed shipping cases that double as info counters. A variety of backwall sizes and shapes include flat or curved profile. Each backwall comes with a soft padded bag for easy transport.